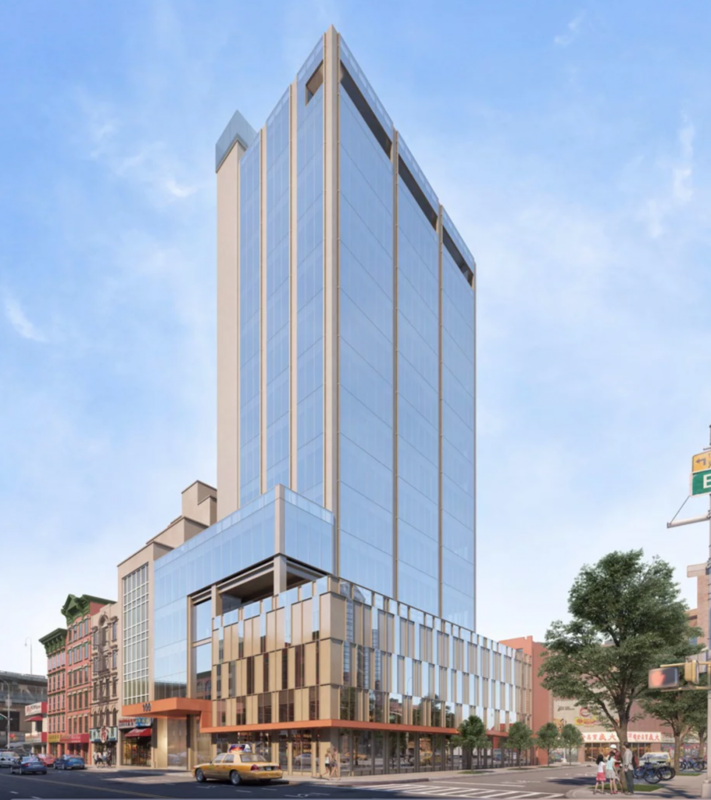 Construction is moving along for 100 East Broadway, the 14-story office building coming to Chinatown, in Manhattan. Photos from Tectonic reveal the structure is just two floors away from the top. Studio C Architects are responsible for the contemporary-minded design. 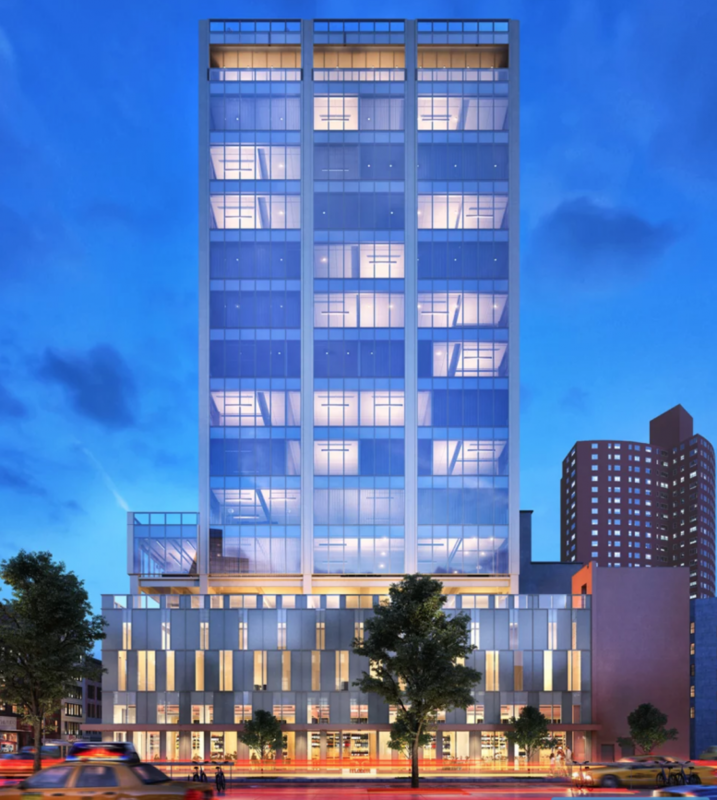 Some portions of the façade have been installed, revealing a more tactile inset aesthetic for the metal panels, along with clearly defined separation between windows, which seem darker than depicted in the renderings. The 180 foot-tall building will yield 63,732 square feet within. Within that, there will be 58,830 square feet of commercial space, and 4,902 square feet of community facility space. Though most of the space will be dedicated to office use on floors five through fourteen, the lower floors have a diverse program. Retail will be included on the first floor, with space on the second and third floors for eating and drinking establishments, and medical offices on the fourth floor. The site is being developed by Shing Wah Yeung of Yeung Real Estate, who purchased the site for $18,750,000 back in April of 2015. Completion is expected either next year or the year after. 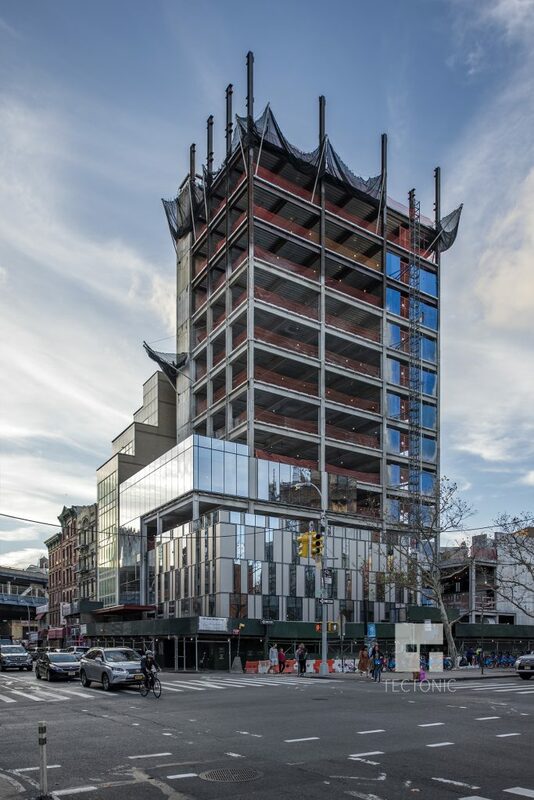 1 Comment on "100 East Broadway Nears Topping-Out, Chinatown"